Osun state governor, Rauf Aregbesola, cannot pay the salary of workers in the state due to the huge amount of money he spent to prosecute his re-election, former Minister of Transport, Chief Ebenezer Babatope, has said. 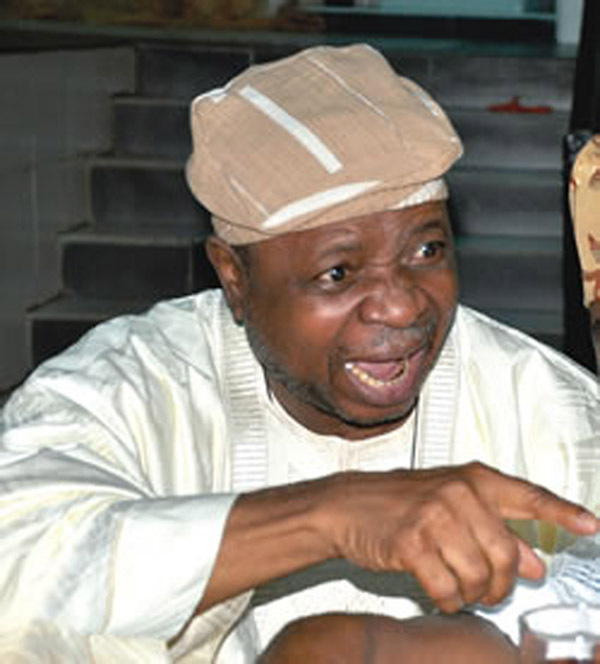 Babatope, a member of the Board of Trustees (BoT) of the opposition Peoples Democratic Party (PDP), who disclosed this in a chat with Daily Independent on Sunday, said Aregbesola borrowed a lot of money to fund his re-election and he is now trying to pay back the loan, hence his inability to pay salaries of workers. He added that he had predicted in an interview he granted shortly after the Osun governorship election that Aregbesola overspent money during the election and that this will have terrible effect on the economy of Osun state. Go and check the newspapers precisely Daily Independent and New Telegraph and see the interviews I granted shortly after the Osun governosrship election in 2014. Babatope said: “Then I said Aregbesola spent so much in the election that we believe that in the next nine months, it will be extremely difficult for the APC government in Osun state, led by Aregbesola to pay salaries of staff. If he does so I will give him kudos”. “I also said Aregbesola overspent himself and that I am very sorry for Osun state.